Dr. Diane Rimple attended medical school at the University of Pennsylvania. She completed her residency at Emory University. 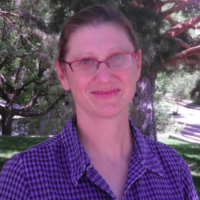 She has served as a faculty member at the University of New Mexico since 2001, as a Program Director since 2010. She served as the Medical Director for FEMA NM Task Force Urban Search and Rescue until 2010. Her interests and experiences include: resilience, approach to remediation, disaster response and medical education in general. She has prepared talks on variety of wilderness medicine topics, disaster response, medical student advisement and resilience.